With the title race going down the wire on Sunday, second-placed Mohun Bagan will look to post an all out win over Chennai City FC in their last outing and hope that giant-killers Aizawl FC face defeat against Shillong Lajong in the Hero I-League. Regional rivals Lajong stand on the way of Aizawl's historical feat as the Mizoram side need at least a draw in Shillong to clinch their maiden title. Should they lose, Mohun Bagan will be eyeing a second I-League title in three seasons. 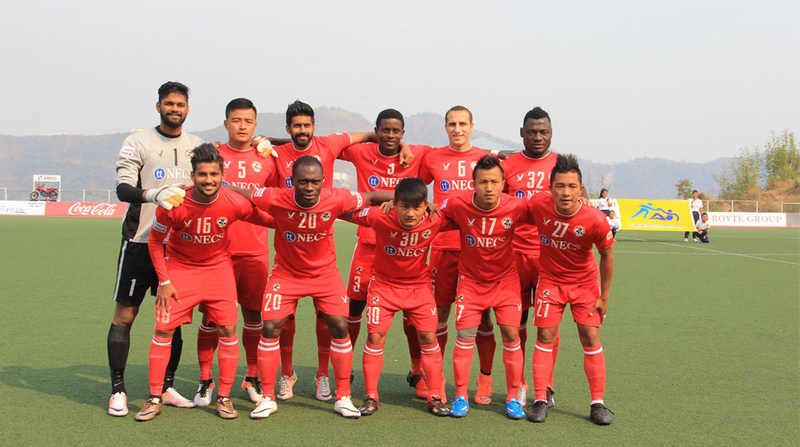 The Sanjoy Sen's brigade lost 0-1 in Aizawl in their last outing but they still have not given up on the title hopes. Mohun Bagan have a few injury concerns in Subashish Bose and Pronay Halder, who has been ruled out for the season, but the former could feature in the Federation Cup beginning in May. U-22 player Raynier Fernandes returned to training and could give fellow youngster Azharuddin Mallick a fight for a place in the starting XI. With Mallick's performance much short on expectation against Aizawl, Sen may go in for Raynier Fernandes to fulfil the U-22 quota for the Mariners on Sunday. The Kolkata heavyweights need to ensure full points from the clash at Chennai and also hope Aizawl fall prey to Lajong in order to lay their hands on the trophy. Coming to their rivals, the Chennai debutants have only won in an away match this season and to make matters worse they are here after a 1-6 drubbing at Churchill Brothers. The Chennai outfit's coach V Soundara Rajan, however, is determined to 'puncture' Mohun Bagan's chances. "Our players are not going there merely for attendance. We will play tough and hard. Neither Aizawl nor Mohun Bagan have won the title yet. So they will have all to play for and will be under pressure," Rajan said. "Moreover, Bagan will play at home and there will be a lot of expectations on them. For us, there is absolutely no pressure. We can go there and play with a lot of freedom. Having lost the last match, we want to finish on a high," he said. The visitors will miss their Nigerian defender Aniyiche Echezona who was red carded in their last outing.